OPPO set to announce its latest crowning achievement at the Mobile World Congress (MWC) 2017 - a 5x smartphone photography technology that will give users unprecedented ability to capture highly detailed images. In recent years, OPPO has been the leading smartphone photography through its innovative and user-oriented technology and products. The significant milestones OPPO has made defined technological trends that the industry followed. This began in 2012 when OPPO started the trend of beautification of selfie pictures. OPPO was the first to offer pre-installed beautification feature in smartphone cameras on the Ulike 2 model. The beautification feature became highly popular among users and it has become a standard configuration on almost every Android phone today. OPPO has enhanced the software and the technology has evolved to Beautify 4.0. This spirit of innovation continued to drive OPPO forward. In 2016, OPPO announced the ‘Selfie Expert’ F-series. The flagship model, the F1 Plus, was OPPO’s first device packed with a 16-megapixel front camera. In the same year, OPPO worked with Sony to co-develop the customized 1/2.8-inch IMX398 sensor for the R9s. The outstanding product performance and amazing user experiences placed OPPO as the leading brand in setting trends for smartphone photography. 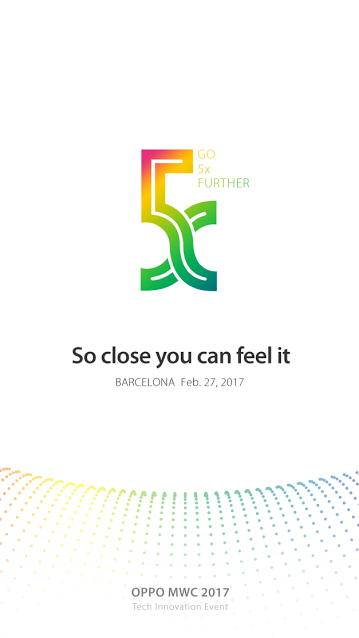 And in just one year, OPPO is set to unveil its next breakthrough smartphone technology, the ‘5x’ Project at MWC 2017 - the world’s largest gathering for the mobile industry. OPPO is currently the No. 1 smartphone brand in China with 16.8 percent market share, and the world’s fourth best-selling smartphone brand for the second year running, according to IDC.In India, the brand became the second largest smartphone player in offline market by sales volume, hit a 10.9 percent share basis GFK data. OPPO was also the first brand which launched selfie focused phones. With Selfie Expert F1, F1 Plus and latest F1s, the brand has created selfie trend across the country. OPPO’s booth at MWC is D31 in Hall 3.